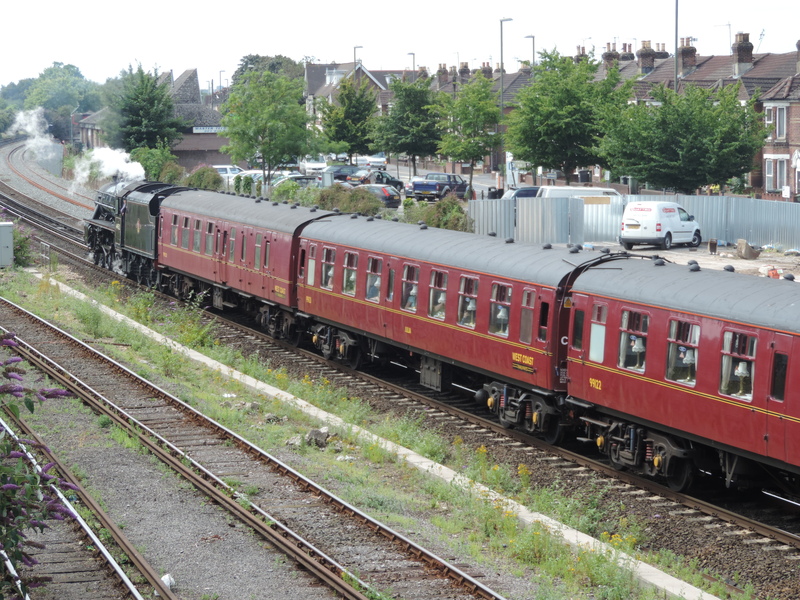 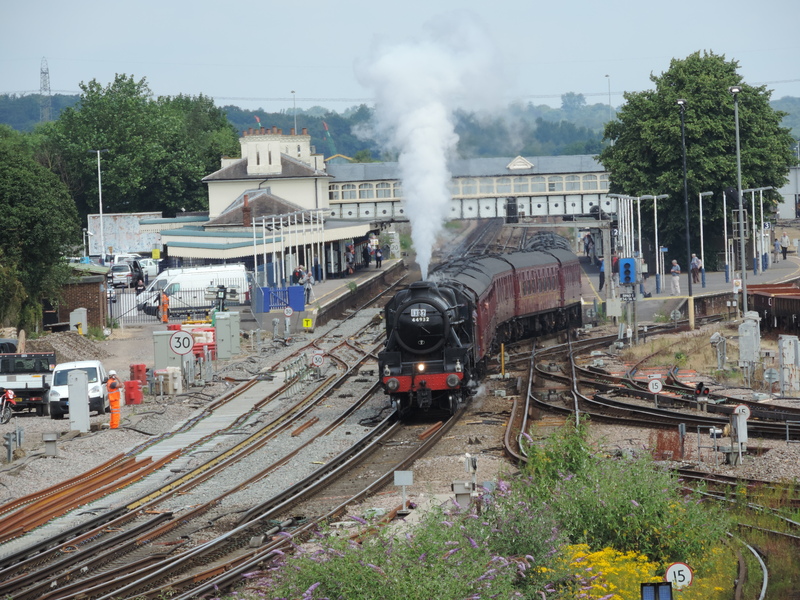 Yesterday marked the return of the Dorset Coast Express which is a weekly steam special from London Victoria to Weymouth. 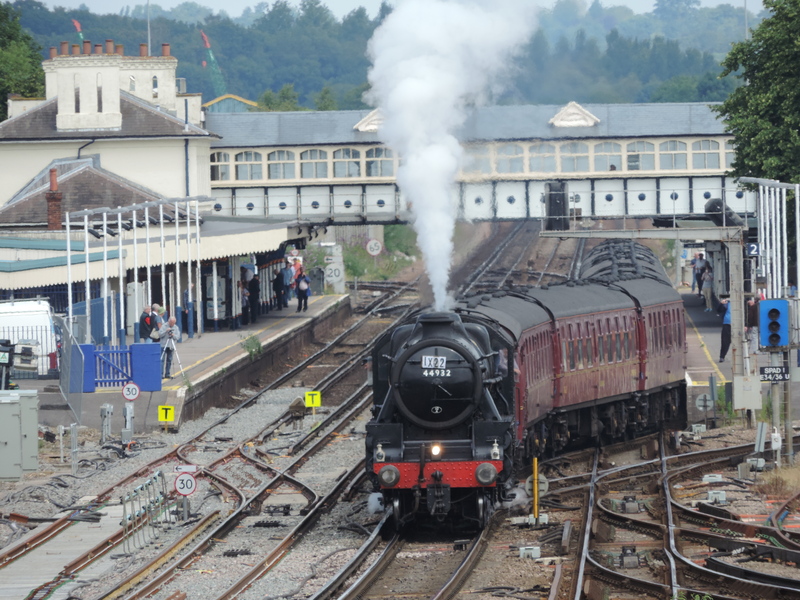 The train was hauled by Black 5 44932 who I recently saw hauling the Royal Wessex (Click here) and never fails to impress. 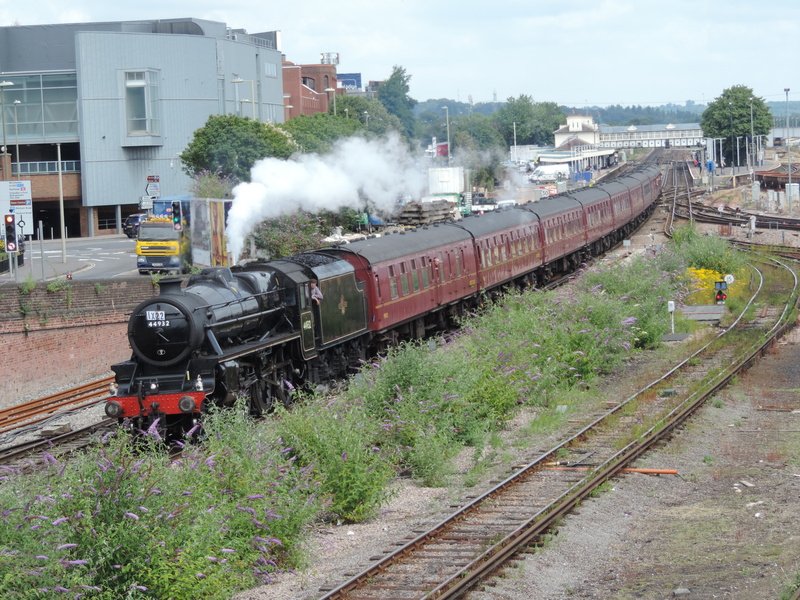 Like many others I took up position on the Campbell Road bridge in Eastleigh and waited for the express to arrive. 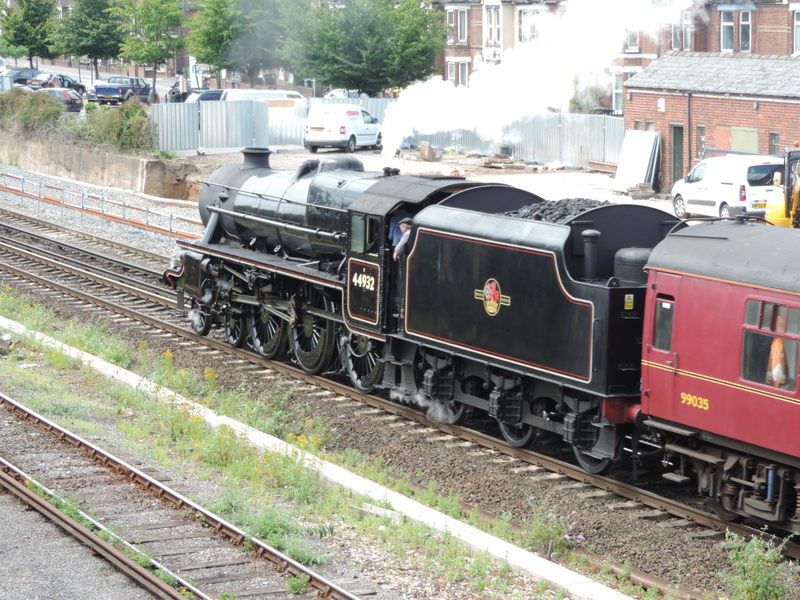 Last year I had the pleasure of visiting the same location with Dave of LocoYard to capture LMS Class 5MT 4-6-0 no’s 44871 and 45407 (The Lancashire Fusilier) with the Cathedral’s Express (click here) but it ended badly for me as the 2 locomotives headed east rather than going down the path I thought it would so I didnt get any photos worth sharing. 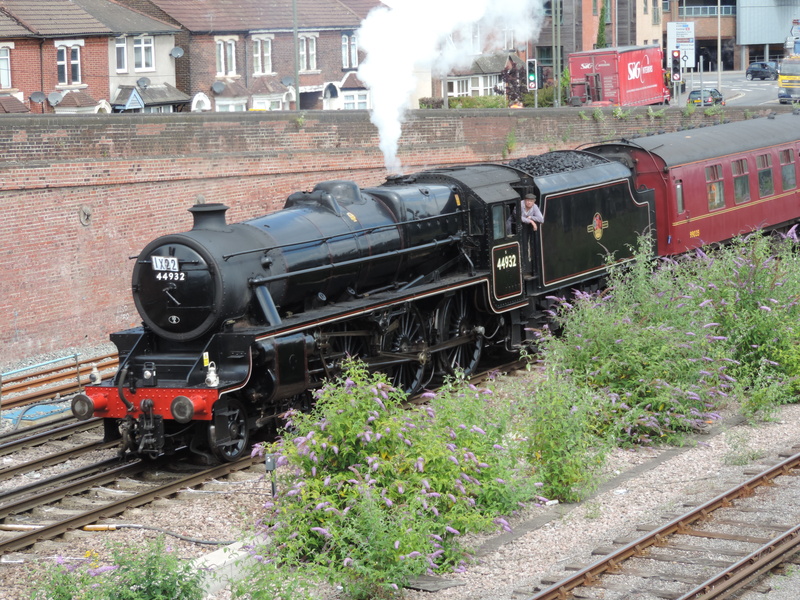 Luckily for me this time I went to plan, she even arrived earlier so she coasted past which meant it gave me the opportunity to take lots of photos. 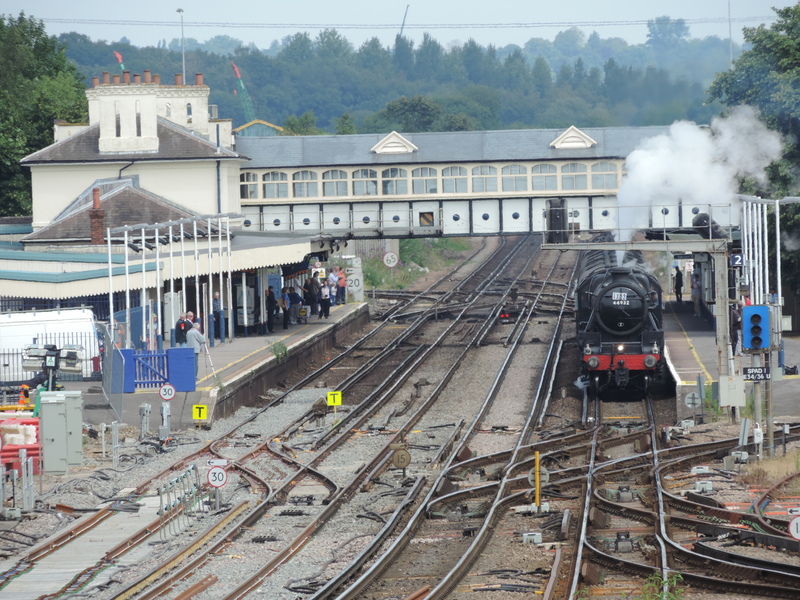 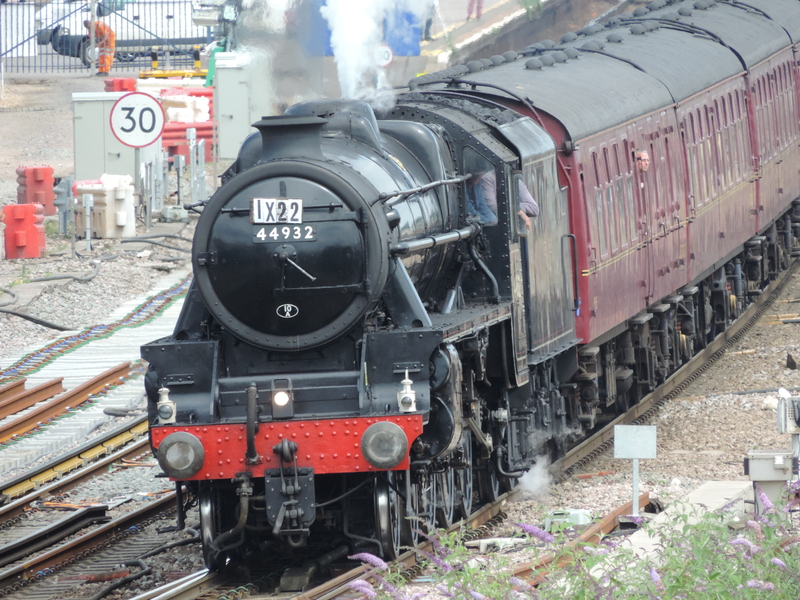 I was in Eastleigh to spend the afternoon working on Canadian Pacific so seeing the Black 5 was a great inspiration. 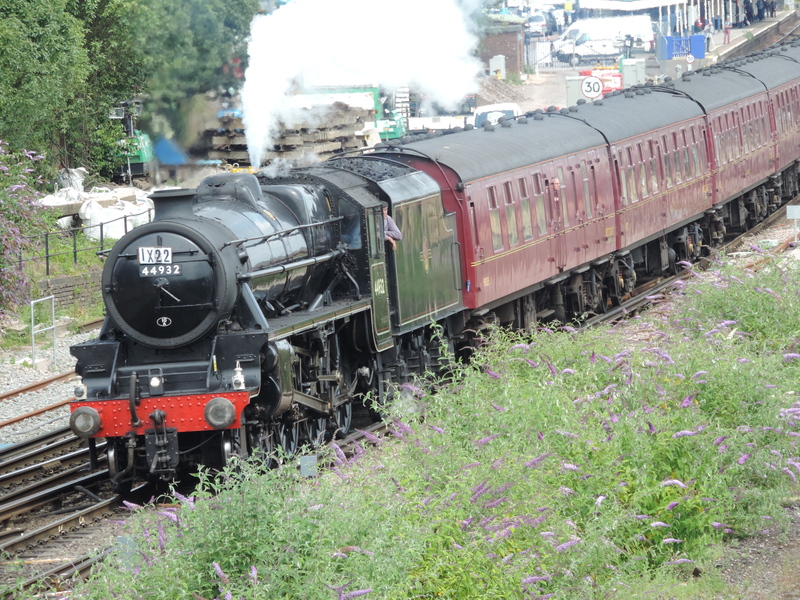 Dave owns 44932 in model form and was a previous model of the week and has been reviewed (click here to read it).